In 2018, the market witnessed a return of higher volatility, and the last quarter of the year was particularly concerning. However, it was not that surprising if you examine it from a historical perspective. It was this crucial and timely subject that provided the backdrop of my recent presentation at the Talking Hedge conference in San Francisco, US; some slants from which I intend to share with the readers of ReachX via this article. I opined that the volatility we saw last year must be examined from a historical perspective. My recent studies in 2018 on volatility examined the historical volatility for both the VIX index*(for the US) and the VSTOXX volatility index** (for the EU). The studies demonstrated how 2017 was an anomaly period of very low volatility for an extended period. Some may argue that the markets may have entered a new volatility regime. I would take the other side of the argument and view the markets as returning to a more “normalised” volatility regime. For example, between January 1990 and July 2018, the median price of the VIX spot market is 17.4. The VIX spot closed below ten only 68 times. Seventy-six percent of those days occurred in 2017. The VSTOXX volatility index tends to trade at a premium to VIX, and VSTOXX spot market closed above 13 about 96% of the time since January 1999. The study also examined the frequency of days when VSTOXX spot closed below 12. Before 2017, it occurred on 12 days in 2005, 20 days in 2017 and 14 days in January 2018. Soon after, followed by the equity markets correcting as the markets entered February 2018. It brings us to the next potent question - do hedge funds hedge? I’ve reviewed some of the research I previously presented in August 2018 when I moderated a panel at DePaul University in Chicago. The study examined 14 hedge fund strategies. *** The results indicated that only four strategies offered various levels of non-correlation to the S&P 500 index. Those four strategies include global macro, managed futures, equity market neutral and fixed income arbitrage. On a rolling three-year basis, managed futures and equity market neutral demonstrated the most cyclical correlations between positive and negative relevant to the S&P 500 Total Return index. The other ten strategies tend to be more consistent in sustaining a positive relationship to stocks (about 0.4 to 0.8) on a rolling three-year basis. One may think of those ten strategies as an extension of an investor’s equity exposure. Versus, the four previously mentioned strategies as ways to potentially offer a reduction in tail risk and reduction in correlation risk. The cyclic correlation behavior illustrates a more independent return stream relative to the S&P 500 index as noted in Figure 1 (below). Lastly, no conversation of this nature would have been complete without touching on the difficulty of timing managed futures allocations and investing in multiple strategies as a useful tactic. At any given time, some managers may be underperforming while others are outperforming. Therefore, allocating across the space of different managers and strategies may be a more appropriate method to diversify allocations. In the case of comparing discretionary managers versus systematic managers, as a group, they will often get to the same place over a longer time horizon; however, there are times when one group may outperform the other group. If you convert it to equity concepts, one may think of it analogous to value stocks versus growth stocks. **** At times one exceeds the other. More specifically, if you think of systematic managers as more likely to be trend followers, the discretionary managers may adjust their portfolio relatively faster when markets shift and transition, where the trend followers could be challenged during transitioning market environments. Therefore, allocating to different types of managers with differing characteristics may offer increased diversification. 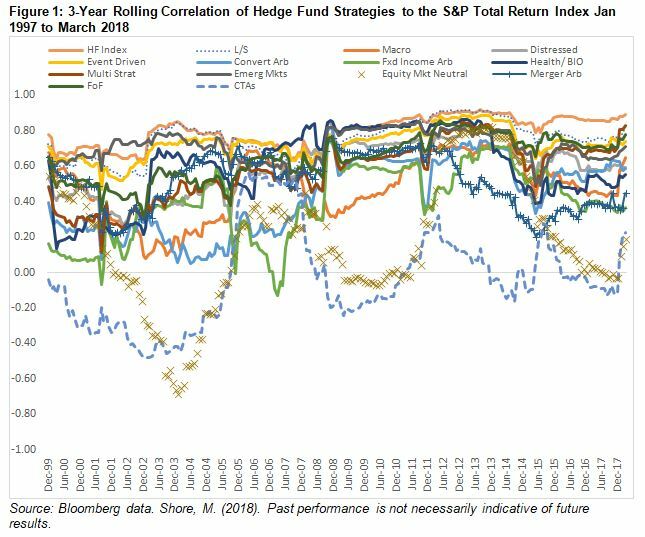 And diversification may provide a reduction for correlation risk in the overall portfolio. Mark Shore is Director of Educational Research, Coquest Advisors and Adjunct Professor, DePaul University. Disclaimer: Past performance is not necessarily indicative of future results. There is risk of loss when investing in futures and options. 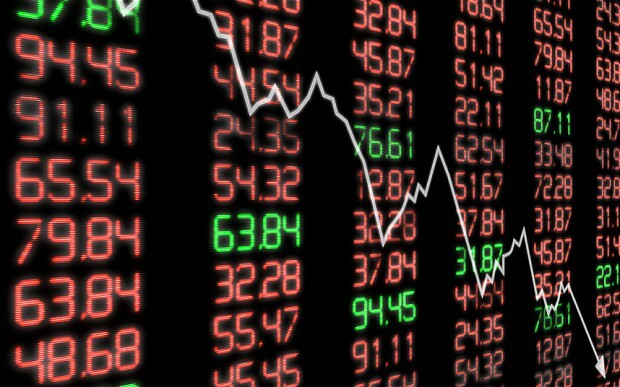 Futures can be a volatile and risky investment; only use appropriate risk capital; this investment is not for everyone. The opinions expressed are solely those of the author and are only for educational purposes. Please talk to your financial advisor before making any investment decisions. ***BarclayHedge indices from January 1997 to March 2018. Shore, M.(2018). Institutional Managed Futures, A Panel Discussion.